Hot Chicks Dig Smart Men: It's OVER! Today I completed my final paper for my University of Denver class "Organizational Behavior." 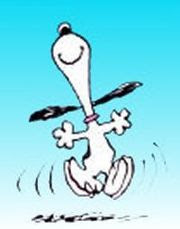 I submitted the paper through the on-line tool, posted my final comments, and now I can do the happy dance. Man, was this class a chore. And those $230.00 textbooks? I ran them through the buyback program today, and the bookstore will give me $45.00 for both of them. I guess that's better than a slap in the belly with a dead fish, but someone, somewhere is making some money. I still have one more required class to take from the Leadership and Organizational Studies catalog, but for now, it's OVER. Next stop: "Law, Politics and Policy." Yes, this is the interesting class I'm rewarding myself with since I took the boring required one, thank you very much. Hey, it only has to be interesting to me. Policy is an awesome class, at least mine was. With the right prof so many things begin to make sense. Whenever you have a WTF moment in the world, there is some aspect of politics or economics you are mising. Wehnever you have a WTFF moment, both are involved. And I actually use the class in my daily work, although I didn;t konw that I would when I took it. John, I'm really looking forward to it. So far I've enjoyed all the classes I've taken from the Public Policy and Social Services catalog, which is why I chose this one as an elective. I suppose the quality of the policy class depends upon a lot of factors. My health policy class focused a lot on Medicare, Medicaid, and SS, and although has proven useful, I wouldn't say it was particularly fascinating. But good luck regardless--here's hoping it's as interesting as you hope! Congrats on finishing the class! Have you ever tried buying used textbooks online via Amazon's network of used booksellers? I was able to get all of smug son's books for next quarter at about a quarter of the new price via Amazon -- I have to pay shipping but it's still a whole lot less expensive. Jeri, thanks for the tip. I'll try that next time! Yeah, that's also a good way to sell books you're done with.